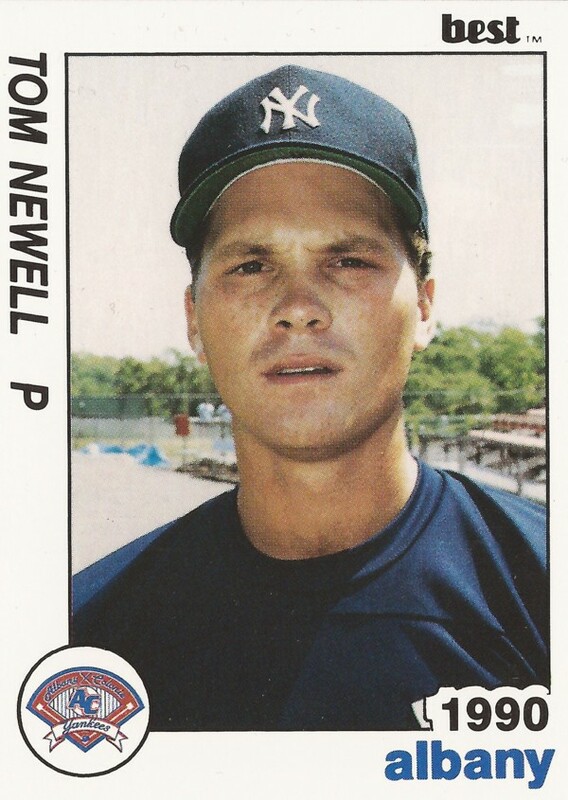 Tom Newell started his professional life as an outfielder. Soon, however, he found himself at a new position: Pitcher. "They said I had a good arm and they had a good pitching report from college," Newell told The Spartanburg Herald-Journal later. Newell eventually used his good arm and his new position to make the majors. His stay was brief, two games, but he got there. 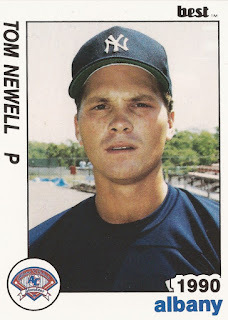 Newell's career began in 1983, taken by the Phillies in the 24th round of the draft out of Lassen College in California. Newell started with the Phillies at rookie Helena. He hit .274 that year and then .185 the next year at short-season Bend. The outfielder had a diving catch, then threw out a runner in an August game for Bend. He then made the move to pitching. His first year as a pitcher came at single-A Spartanburg. He went 7-13, with a 3.82 ERA. He played 1986 largely at single-A Clearwater, getting five starts at AAA Portland. Newell played most of 1987 at AAA Maine. Then, in September, he made Philadelphia. Newell got into two games for the Phillies, one total inning of work. He gave up four earned runs. That was the extent of his major league career. Newell returned to AAA for 1988 at Maine. He also got time back at AA Reading. He pitched into the seventh of an April game at Maine, giving up one run. "I made good pitches when I needed to and they were swinging at the high ones," Newell told The Lewiston Daily Sun afterward. Newell didn't play in 1989. He then returned with the Yankees in the minors in 1990. He played between high-A Fort Lauderdale and AA Albany-Colonie. He then had brief time back at Albany and at AAA Columbus in 1991, ending his career.